Rollercoaster (1977) will be released on July 23rd. 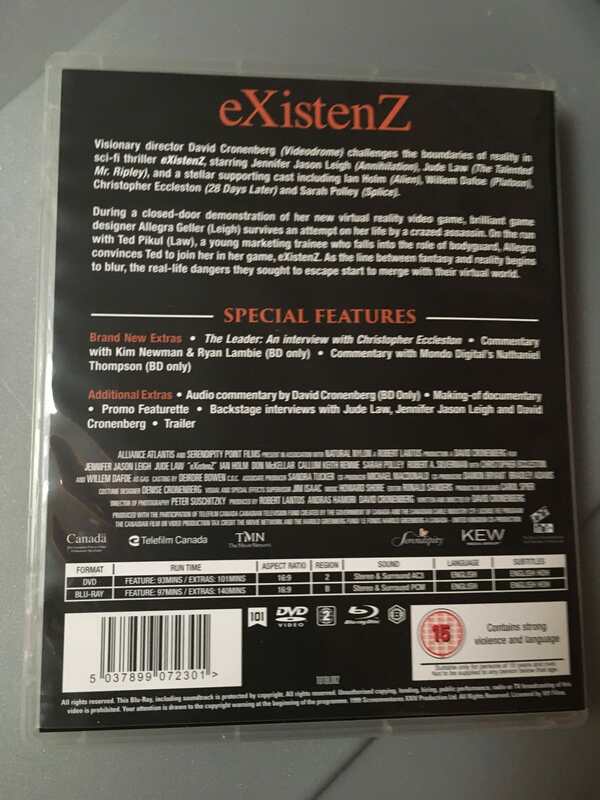 Was a standard edition of eXistenZ ever released? All I see on various sites is the limited edition but I ordered from someone on eBay and what I received didn't include a DVD, booklet, or slipcover (but it came sealed). What I got looks exactly like this in shrinkwrap. It might be helpful to compare details on the back, thanks. Does your disc have all the extras (three commentaries, and various period featurettes)? That entry lists its only "special features" as 'Interactive Menus', which I haven't seen listed as a special feature in about fifteen years. Yes, this. I seem to recall Sainsbury's had this particular one. It probably will be an older HD master, but I have positive memories about the movie, so will likey give this a try. 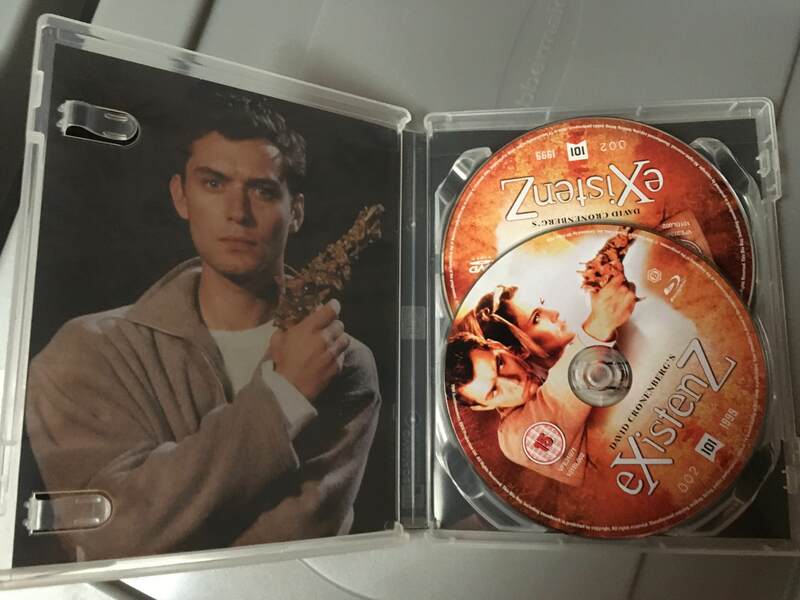 It seems there is still no definitive release of eXistenZ, including this one — which leaves off the Peter Suschitzky and Jim Isaacs commentary tracks from the 1998 Canadian Alliance DVD, and is not a new scan. (At least it retains the Cronenberg commentary track. Every single release of this has its pluses and minuses (except for the 2012 Miramax/EchoBridge Blu, which I can finally toss). The 101 Films release may be as good as we ever get for this film. Although not in Cronenberg’s top tier, I still quite enjoy it. Yes, that’s the old Tartan box. Also, the LE of Rollercoaster is apparently sold out.